After a day of fun in and/or out on the water, you’ll no doubt be ready for a spot of relaxation. A friendly tournament on the sports field is a fun way to pass the time. Alternatively, there are various cycle routes that lead you through the splendid scenery of the Veluwe and Flevoland. You’ll pass through numerous charming villages along the way, each worthy of a visit. What makes Strandparc Nulde even more appealing is its close proximity to a large choice of theme parks, zoos, museums and other tourist attractions. Picturesque Harderwijk is just a stone’s throw away, for example, where you can spend a day learning about the fascinating world of the sea at Dolfinarium. The Walibi World theme park is a little further afield, in Biddinghuizen. Besides that, you can practise your swing at the Golfcentrum Harderwold golf course in Harderbos. And there’s much more to do at Strandparc Nulde. Besides surfing and cycling, there are plenty of activities for people of all ages in and around the campsite itself. How about taking a boat trip on the local lakes? 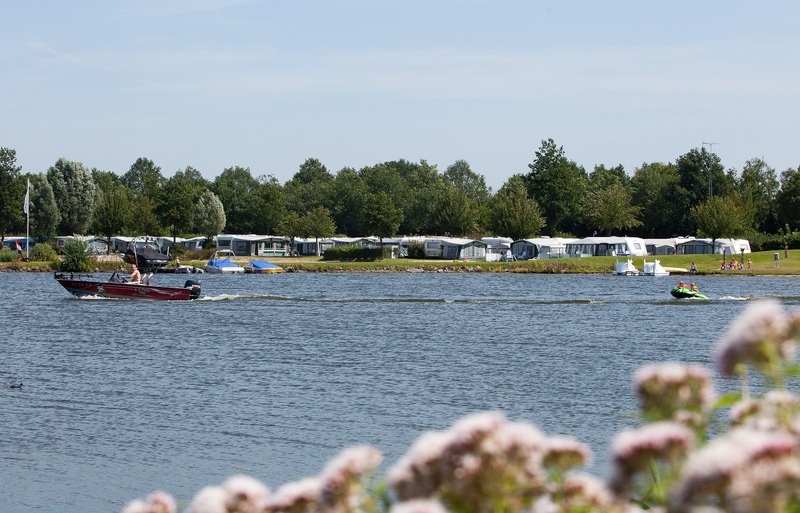 The campsite is adjacent to a marina, from where you can head out onto the water to explore the scenery. And in the high season our animation team organises countless activities, ensuring that there’s always plenty going on for children and adults alike at Strandparc Nulde. For example, while the little ones burn off some energy in the playground, you can enjoy a – no doubt well-deserved – rest in our welcoming restaurant with its waterside terrace.